I don't know much about wine. Really. My lack of knowledge has led me to stick with the same wine every time I shop for it. The last time that I tried a new wine, I ended up giving it away because I didn't like it. So, I've become the girl that sticks with the tried and true (which is usually a Moscato). Frankly, I'm bored. But finding one that I like seems like a never-ending battle and a waste of money. But not anymore! Winc has come to my rescue and has finally taken the guesswork out of wine for amateurs like me. 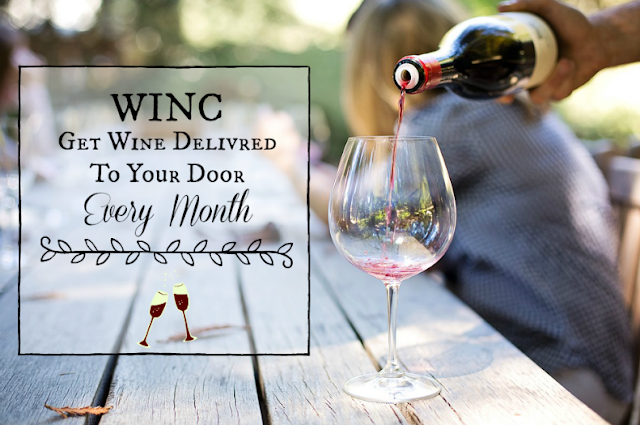 Even better, they deliver wine right to your front door! * Product and/or service provided for review without cost. As always, all opinions are my own. Please view my full disclosure. I know people who have dreamed of a wine delivery service and in 2012, it became a reality. Winc, a California-based winery, was founded in 2012 by Xander Oxman and Geoff McFarlane. These two ingenious gentlemen wanted to make wine more accessible, simpler, and easier to enjoy. Oxman and McFarlane teamed up with Brian Smith, winemaker and sommelier, and created Winc, a personalized, membership-based wine club that delivers wine straight to your doorstep. 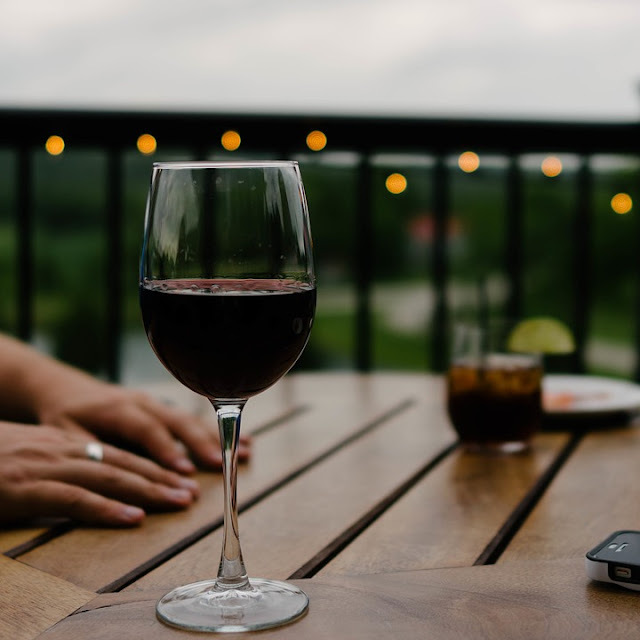 It sounds relatively simple and it is simple to personalize your experience from a user standpoint, but a lot of work goes into choosing wines that are just right for you. So, how does Winc personalize your experience? Do you like citrus fruits? How adventurous are you when it comes to food and drink? Based on your answers, Winc will recommend four bottles of wine just for you. You get to decide whether you want two red wines and two white wines, all red wine, all white wine, or what have you. Then, you can view your selection. If you're not feeling one of the choices, you can swap it out with another. You can also add wines if you want more than the four bottles that Winc recommends. I went ahead with the order and within four days, the wine was at my door step. I'd like to share with you my experience with each wine. Remember, I am an amateur. Wine connoisseurs will probably cringe at my descriptions. Just bear with me. And if you decide to comment, be gentle, will ya? 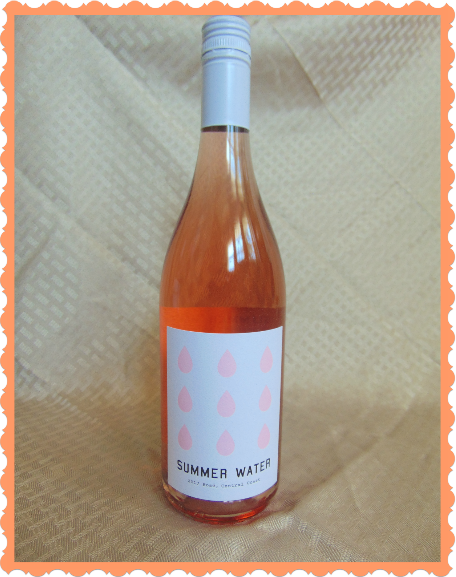 Summer Water is WINC's "rosé of the season." This is a pale pink wine. I love the packaging. Super feminine. Now, I typically drink my wine at room temperature but Winc recommends chilling the Summer Water. I did a quick Google search to figure out the right temperature and it looks like it's between 45 to 55 degrees Fahrenheit. Wanting to do this right, I chilled 'er for a few and then tried 'er out. And let me just say, wow! This is a light, dry, and refreshing wine. I think I got a hint of strawberry and grapefruit but I know nothing so don't take my word for it. I'd definitely agree that this is a perfect summer wine. I can easily picture myself drinking it next to the lake with a good book in hand. It's very good. Winc also sent this little cocktail recipe with the Summer Water. It looks and sounds delicious. It includes grapefruit-rosemary syrup (you can make your own), an edible flower ice cube, a rosemary sprig, and of course, the Summer Water. I haven't yet had the chance to try it but I look forward to it. Sounds like the ideal summer drink. Overall, this one gets a huge thumbs up from ya girl. 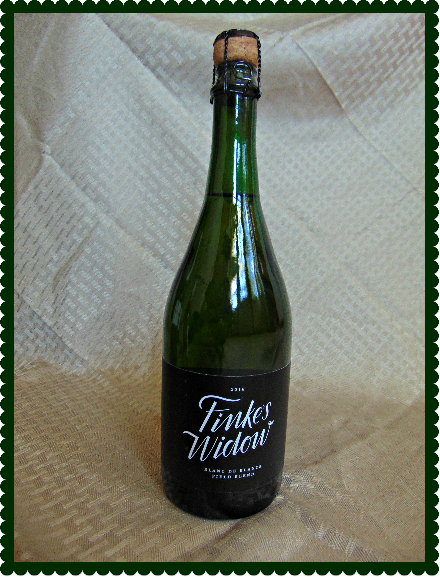 Finke's Widow Sparkling White Blend is a California sparkling wine. I was thrilled that Winc recommended this one because I love champagne. But apparently, this isn't champagne at all. A quick Google search revealed to me that champagne can only be called champagne if it's from the region of Champagne, France (and it can only be made using Chardonnay, Pinot Noir, and Pinot Meunier). Well, you learn something new everyday! So, this sparkling white wine is fresh and bubbly, just as I expected it to be. At first, it had a crispness to it but the more I sipped, the smoother it seemed to feel. I liked that. In terms of flavor, it seemed fruity to me. This one is really good and gets a thumbs up from me. 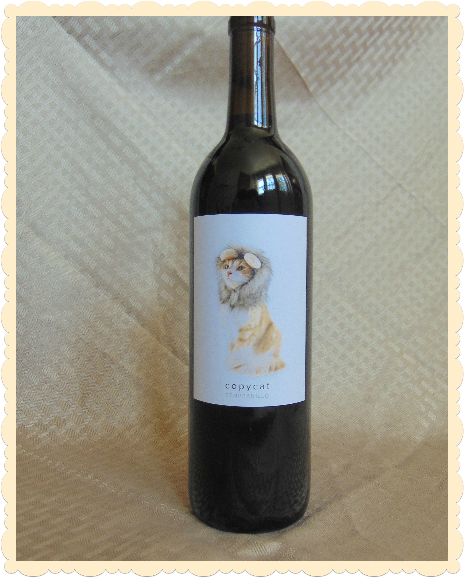 Copycat Tempranillo may not be the real thing, but I was hoping it would be real good. Sadly, it wasn't—at least not for me. Tempranillo, for those who don't know (I had to look it up) is a grape native to Spain. This Copycat Tempranillo uses grapes from Clarksburg, California. It's a red wine. I'm not a big fan of red wines. That might be why I didn't much care for this one, but I can't be sure. It was just really sweet. The after taste, however, is very bitter. I thought I tasted berries, but I could be wrong. I just didn't like it. I don't know how else to describe it other than "unbalanced." I've never had real Tempranillo, so I can't compare the two. It's a no from me, dawg. Mercana is a play on Mercado, the term for the lively Argentinian markets featuring colorful butcher counters and produce. This wine pays homage to the vibrancy of the Argentinian food and wine culture with a flavor profile that goes beyond the expected. Notes of black cherry and blackberry are joined by tobacco, pepper spice, and earth. The savory elements introduce a level of complexity to this wine that's often absent from other Malbecs at this price. Delicious on its own, it's even better when you take advantage of the inspiration from the Mercado and pair this with a meaty steak and chimichurri. Salud! Mercana Malbec, to me, was light, fruity, and dry, but there was also an "earthiness" to it. I did get a slight hint of the pepper. As mentioned earlier, I'm not much of a red wine fan but I really liked this one! I can't wait to try it with a steak! Kudos to Winc for recommending a red wine that I enjoyed! 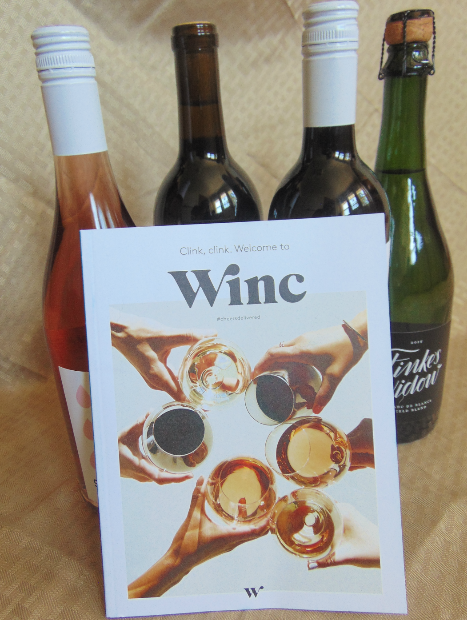 Overall, my experience with Winc was a positive one. I enjoyed 3/4 of the wines they sent me—that's a 75% success rate for my first time, based on the Palate Profile. That's pretty good. All members must be 21+ and must sign for the order when it arrives. Start your wine delivery service with Winc today!